I've written a few pieces over the years about America's seemingly insatiable need to remake some of our biggest hits. Nine out of ten of those attempts fail to match the quality of the originals and end in utter disaster. Too often remakes either get lost in translation or programme makers get complacent believing that they don't have to try a hard with a show if the format has already proved a success in another country. The US adaptation of Gavin & Stacey was never even broadcast but it was clear from the trailer alone they'd completely lost any of the warmth and charm that made the original so loved. More recently the attempt by US network Fox to recreate the magic of ITV's mystery drama Broadchurch was met with lukewarm reception and failed to capture even a tiny bit of the success and acclaim bestowed upon the original. Sometimes someone somewhere gets it right and those are the shows I want to celebrate here. So, what are the best examples of when the magic is replicated? The best recent example is HBO's Veep (remake of BBC4's The Thick Of It). It could be argued that this works so well because they've taken the bare bones of the original and put it in the US setting. They've not tried to re-create the UK characters, they've come at is with fresh eyes. It has occurred to me that the remakes that succeed are those that allow/encourage the involvement of the original programme makers. Veep is written and rehearsed in London by the team behind The Thick Of It and then shot in Maryland which doubles for the nation's capital. The UK team are the first to tell you their knowledge of US politics is patchy, but Veep is incredibly funny and feels about as real and true to life as it can get without turning into documentary making. If I were to be slightly controversial I'd say I prefer Veep. Perhaps that's because the world those characters inhabit seems more zany and fascinating. Thick of It writer and co-writer and co-executive producer of Veep Simon Blackwell told me, " Veep needed to be different to Thick because the attitude to politics and politicians is different in DC to how it is in Westminster. People have respect for the office of Vice President, even if they might hate the incumbent. So Selina is always addressed as "Madam Vice President" (or, now, Madam President) or “ma’am”. Never directly by her first name. This means you can’t have a Malcolm Tucker character. He wouldn’t be able to speak to the Vice President like he speaks to Hugh or Nicola. The secret service would shoot him. And I guess that’s the most striking difference between the two shows. What we took from The Thick Of It, and what makes Veep feel like its familiar cousin, is Armando's creative process. Write, write, write, rehearse, incorporate the good bits of that rehearsal into the script, write a billion more drafts, shoot the script, shoot loose takes, shoot long and then cut tight in the edit using bits of the looser takes to make it feel as real as possible. Reality is the key. That’s why The Thick Of It is called that - we wanted you to feel as a viewer that you were in the middle of the madness." Armando Iannucci and his team need to be commended, they've achieved what the majority have found damn near impossible: Veep is as smart and realistic as the original, but is without question its own show in its own world. I don't think of Veep as a remake of but more a companion to its original show. 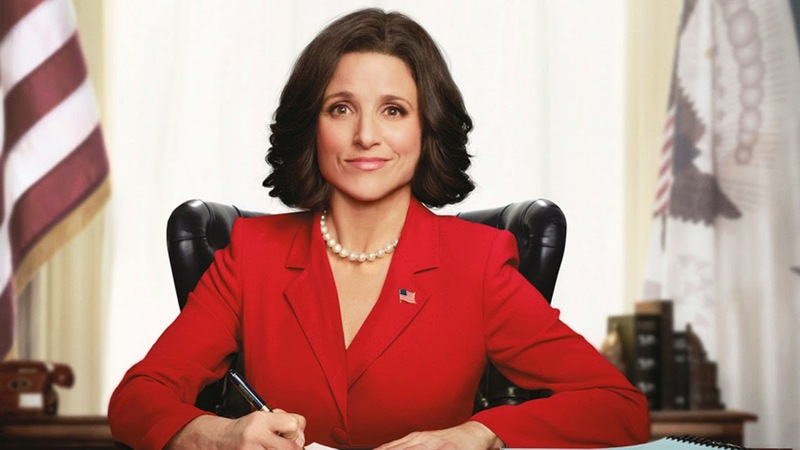 Its fourth series started this week in the States and saw Selina Meyer (the wonderful Julia Louis-Dreyfus) as president. It was also recently announced that HBO have green lit a fifth series, but that Iannucci and Blackwell will step down. 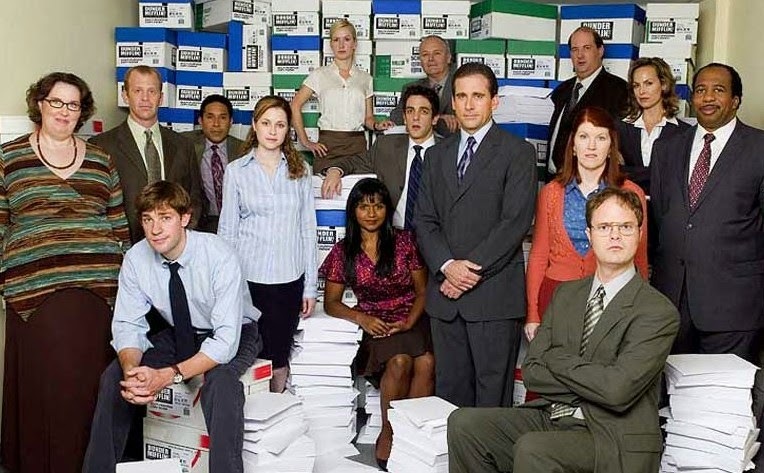 The other best example of a remake that worked was actually the US remake of The Office. I was resistant to this idea for years. In my view Gervais and Merchant's original isn't just a TV comedy, it's a masterpiece that changed the landscape of modern comedy. The twelve episodes are perfect. It portrays the realities of working in an office seemingly effortlessly and the characters seemed the most real we'd ever seen in contemporary comedy. We've always been good at finding the funny in everyday life but The Office seemed to take this and ramp it up further. My resistance to the US remake was so strong that it wasn't until the middle of last year that I actually sat down with it and was able to view it as a show of its own. On the advice of many I ignored the first 'season' which followed the template of our first series and began my binge with the first episode of 'season' two. A lot was familiar most notable the love struck characters of the receptionist Pam and office worker Jim who even physically resembled our Dawn & Tim. Turning Tim into Jim wasn't much a stretch was it! Then there was the cringe worthy boss/entertainer Michael Scott who, in this first episode I watched was handing out awards to his bemused employees at a local restaurant whilst diners looked on confused. I wouldn't say I was completely drawn by this first episode, but as I was watching on Netflix, and it didn't require me getting up, I decided to plough onto the next one. It was probably by the end of this second episode that I slowly started to accept they'd got it right. The nods to the BBC version were plain to see, but due to the long-running nature of US comedies they were able to make more of the characters outside of those we'd seen in the BBC version. It also helped that Steve Carell wasn't playing David Brent. His character Michael Scott shared some personality traits with Gervais' boss from hell, but was a different character, with different issues, hopes and dreams. I rattled through that second season and found myself getting more drawn in and being able to separate it from the show it was trying to be. Had I watched their interpretation of our episodes in the first series I think I may've found it harder to see it as a different show. I honestly don't see the point of shot-for-shot remakes. Much like Veep, the US version of The Office is at its best when the take the bare bones of the original but do stories of their own. As it ran for nine 'seasons' they quickly moved away from our story and went onto create new characters. Whilst I enjoyed it immensely I still think our version is ultimately superior. The US team turned it into more of a traditional comedy and it perhaps should've ended when Carell decided to leave midway through the seventh series. The last example of recent remakes that have managed to succeed on their own is Showtime's adaptation of Israeli drama Prisoners of War which became mega-hit Homeland back in 2011. Just like my two previous examples Showtime were happy to involve original creator Gideon Raff so that it kept the authenticity of his Israeli drama. The series centered around soldiers who return home after years of negotiations for their freedom. The series explores the reintegration of Nimrod and Uri into a society which has made them national icons, and into an interrupted family life, while working through the trauma of being held captive and tortured. They must deal with partners who waited or moved on, children who have grown up without them, and parents who have died. When a military psychiatrist finds discrepancies in their stories, an investigation is launched to discover what they are hiding. I watched these two in the wrong order. Much like The Office, I'd come to Homeland long after the buzz had died down but found myself drawn in on Netflix. By the time it reached its third season I was falling out of love with it and so tried the Israeli episodes to get a feeling of where the series came from. Both are enjoyable in their own way, the original feels slightly more gritty and less flashy than Showtime's adaptation but both work as engrossing pieces of television drama. Not to step over the points I made in the paragraphs above, but Homeland is at its best when it stays with the confines of the original premise. 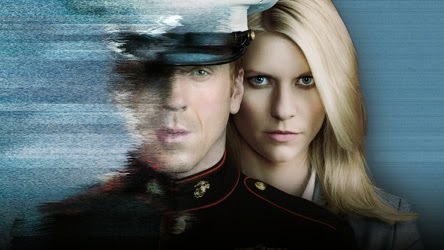 I always found the turmoil of Nicholas Brody the most compelling element of Homeland. He's a man who isn't sure where he fits, his life has moved on without him and he's wrestling with where his loyalties lie. In season 3 of Showtime's version that story had been told and we were left with where the dregs of the story and a less compelling attempt to hold onto its former glory. In Season four the focus shifted entirely from the original it felt more refreshed for it. So, that's the key to a successful remake then. 1) Involve the people who were responsible for making the original a success in the first place. 2) Don't recreate the characters, instead put new characters in the environment of the original series. 3) Step outside the confines of the original show story so that your show can be a nod to the original rather than a carbon copy. 4) Don't assume if something works in one country it'll automatically work in yours. 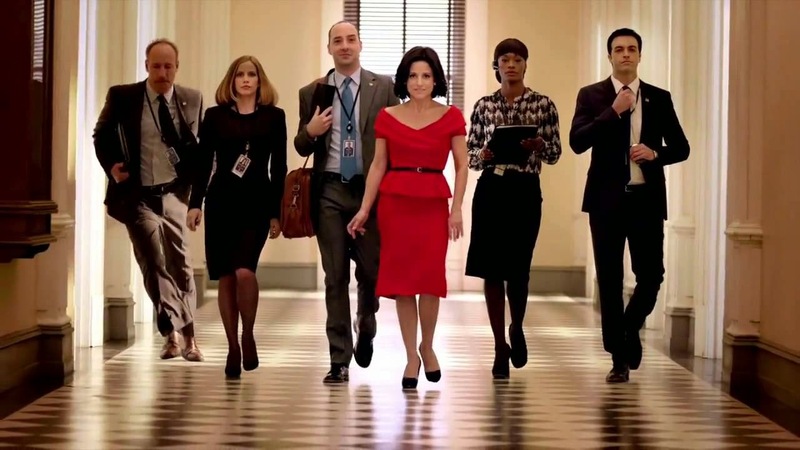 Veep will air on Sky Atlantic later this year.